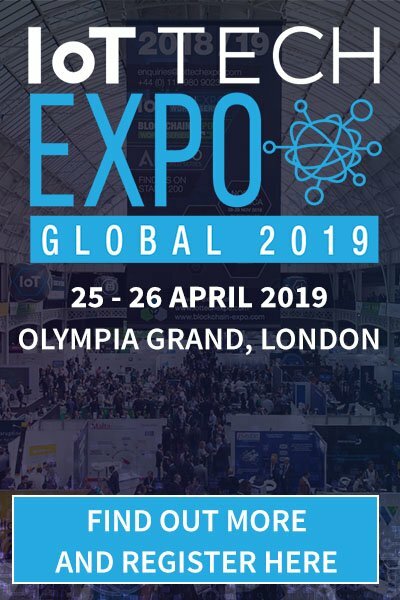 This week the IoT Tech Expo team caught up with one of our exciting speakers Mischa Dohler to get his views and thoughts on the development of Smart Cities, the global initiatives backing the movement, and it’s place within the Internet of Things ecosystem. Mischa Dohler is a Professor in Wireless Communications at King’s College London, Head of the Centre for Telecommunications Research, co-founder and member of the Board of Directors of the smart city pioneer Worldsensing, Fellow and Distinguished Lecturer of the IEEE, and Editor-in-Chief of the Transactions on Emerging Telecommunications Technologies and the Transactions on the Internet of Things. He is a frequent keynote, panel and tutorial speaker, and has received numerous awards. He has pioneered several research fields, contributed to numerous wireless broadband, IoT/M2M and cyber security standards, holds a dozen patents, organized and chaired numerous conferences, has more than 200 publications, and authored several books. He also acts as policy, technology and entrepreneurship adviser, examples being Richard Branson’s Carbon War Room, House of Parliament UK, UK Ministry BIS, EPSRC ICT Strategy Advisory Team, European Commission, Tech London Advocate, ISO Smart City working group, and various start-ups. Looking at Smart Cities – where are we at and where will we be in 5 years time? Not too much has happened over past years where citizens could say, “yes, I notice the effects of a smart city”. That is rather unfortunate as the term starts to become “hackneyed”. However, slowly, there is a transition within cities from marketing departments to the actual hands-on departments, such as city department of transport, light, water, etc. Cities globally start to consolidate into three broad categories: i) ROI-driven (eg NYC); ii) carbon-driven (eg Copenhagen); and iii) “vanity”-driven (eg Qatar). Within the next 5 years, the market will consolidate further and, with technologies and business models proven, demand will increase. That then will eventually ignite the smart city market. It will then transit quickly into commodity but that’s ok. The smartness in “smart cities” emerges from connectivity, which is why connectivity initiatives have traditionally been leading this; I am talking about ETSI, IETF, IEEE, 3GPP, etc. However, other bodies and alliances have picked up too; worth mentioning is the ISO Smart Cities Working Group, in which I am involved in. In that group, we are trying to identify all possible smart city standards and initiatives available globally, and also understand if there is demand from cities in smart city standards; and then how to bring standards availability and demand together. To what extent can new technologies help address socioeconomic and environmental challenges? Technology helps us to become more efficient (do the things right) and effective (do the right things). Most importantly, technology is impartial and is able to identify socioeconomic and environmental problem zones which humans then can go about to address. What would you define as some of the most difficult problems/challenges facing smart city development? As of 2015, we have a massive supply of technologies, standards and even business models; however, the biggest challenge is that we still don’t have real demand. Cities have been operating for centuries and the machinery, no matter how complex, is well oiled. Changing anything in this delicate ecosystem is difficult and cities don’t have that as their agenda item 1. Take the example of smart parking which my company Worldsensing pioneered: whilst the technology is there and revenue returns are massive, most cities prefer to run their parking policies the way they have been done over past decades — no matter how much we advocate for smart cities, there is little we can do. Another problem is scale: We have very, very little evidence of a smart city working at scale. And that is, however, where most economic business and social models really start to kick in. For that, however, we need cash which the cities are not willing to give because the models are unproven, large corporations are not willing to give because they mainly do business somewhere else, and small companies can’t do because they don’t have it. We are in a catch 22 here, and unless demand really picks up, we will continue with rather small scale deployments. Yet another problem, also related to scale, is the sheer complexity of cities, the fact that each city is completely different, the maze around procurement, etc, etc. That makes it really difficult to scale a smart city business the same as eg Facebook scaled. With that very obvious problem of scale, VCs are unwilling to invest. And, hey, we are back at Catch 22. I understand you’ve been working on the concept of “Zero-Capex Smart City”, can you explain the fundamental idea behind this? This is a rather revolutionary approach which recognizes the Catch 22 situation discussed above. Here we look at all possible smart city business cases; and group, scale and deploy them such that initial CAPEX investment is minimal, and OPEX risks are also minimised. That allows a city/company to ask for a small loan from a bank to pay for the first smart city rollout; and then bootstrap all the other rollouts from the financial returns made. Since risk is reduced to such a degree, companies may even take the CAPEX on and sell the smart city technology and solution package at zero cost, bound to a service contract the length of which is an outcome from our modelling work. Smart city as a service has thus become reality. Which area of the IoT ecosystem do you see as being the most advanced/closest to wide scale adoption? In relation to smart cities, that would be smart metering and smart parking. Then, there is the wider range of smart traffic sensing applications; also smart buildings, smart street lightening, etc. Where do you believe the “money” is in IoT? IoT gives two pieces of information: i) assembling long-term data, we see if our city processes run effectively and efficiently; thus allowing policies to be changed and a lot of money to be saved/made; ii) use the real-time data capability of the IoT and detect alerts or detect infringers or other which allows us to save a lot of money or make it. What do you see as the biggest challenge within IoT and launching products/services alongside it? Just as above, there is a massive oversupply of technologies and standards, but little demand so far. But the Internet also took 20 years to gel – so we just have to be patient. What are some of the most notable and innovative products/start-ups which you have seen launch or be development recently? Mischa will be speaking within the Smart Cities track at IoT Tech Expo this December, register for your pass here.